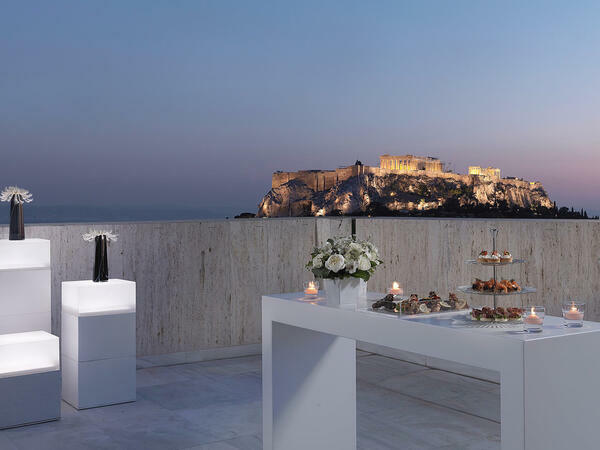 Stay at the luxurious NJV Athens Plaza, conveniently located in the heart of Athens in the historic Syntagma Square, and very close to the world-famous Acropolis. 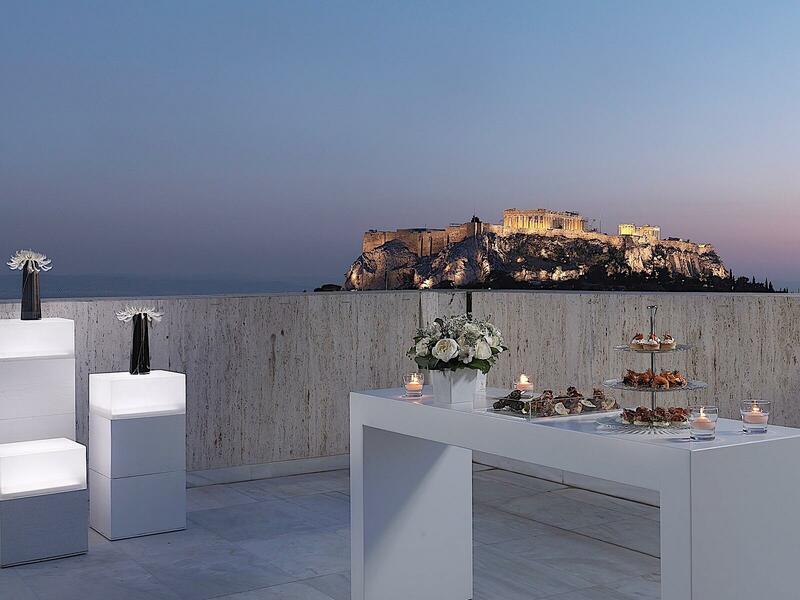 With over 30 years of rich history, the 5-star NJV Athens Plaza welcomes guests from across the globe to experience hospitality excellence at its finest. 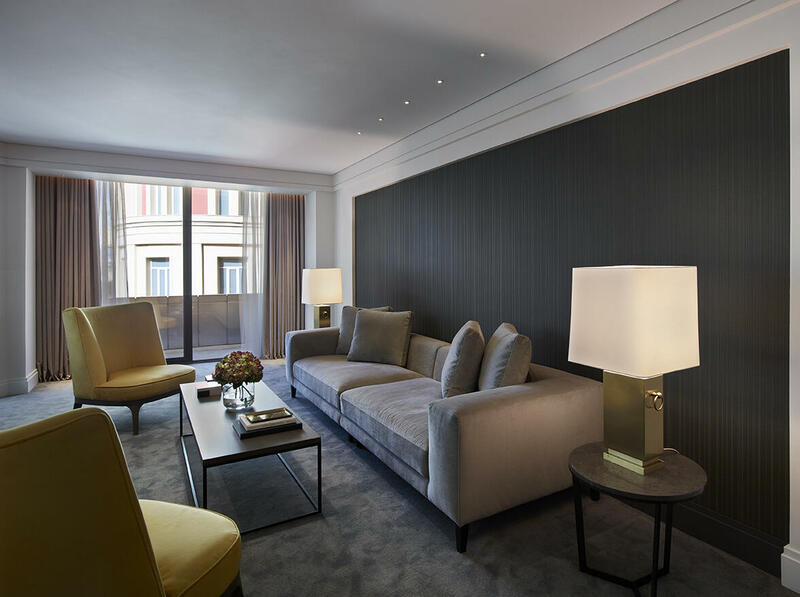 As one of the top luxury hotels in Athens, our property features 162 guest rooms and 18 elegant suites that are tastefully decorated with modern touches and include first-class amenities. 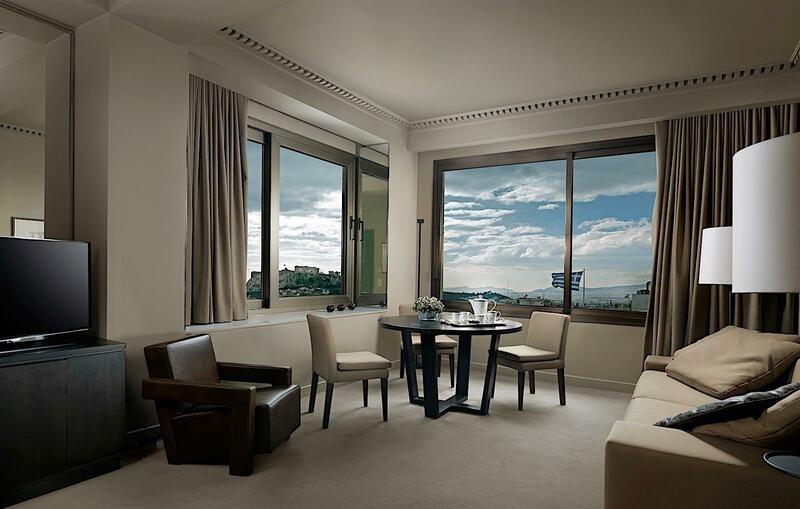 The NJV Athens Plaza Hotel aims to satisfy every guest, including our guests traveling on business. Our meeting and event facilities are spacious and can hold up to 350 people, while our state-of-the-art equipment allows for a successful conference, special event, board meeting or business luncheon. At the NJV Athens Plaza, you can expect nothing but the best. Visit us and "Live the absolute experience for absolute moments!" 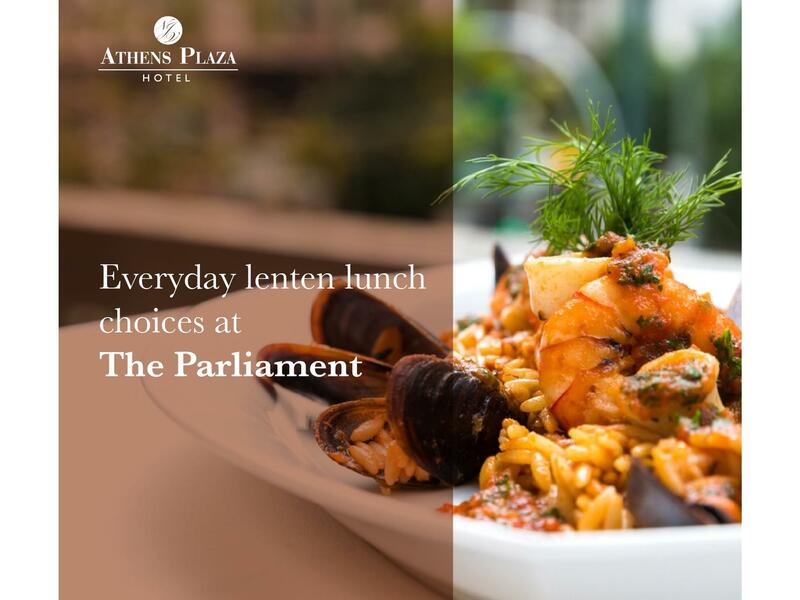 Lenten Season at the Parliament Restaurant! 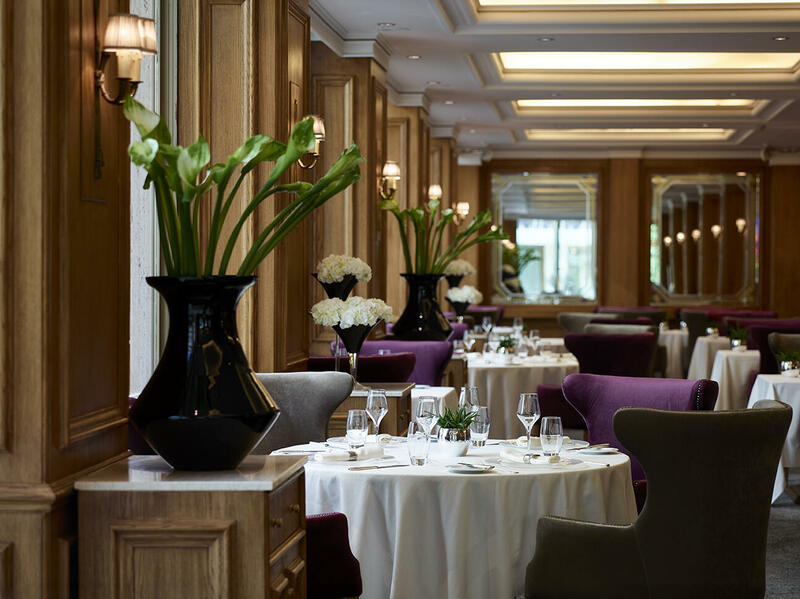 Starting from Ash Monday and until the 26th of April, the Partliament Restaurant will be serving an everyday Lenten Menu. Celebrating Easter '19 at the NJV Athens Plaza! 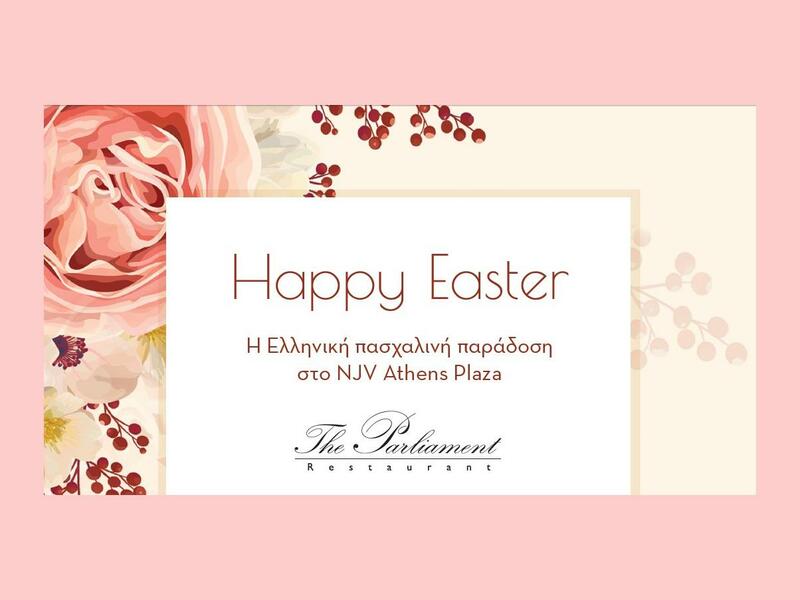 Just like every year, the Hotel's Chef, Nikos Giannopoulos will be preparing for all of you and your beloved ones, delicious Easter dining choices at the Parliament Restaurant..
Today's Menu at the Parliament Restaurant! 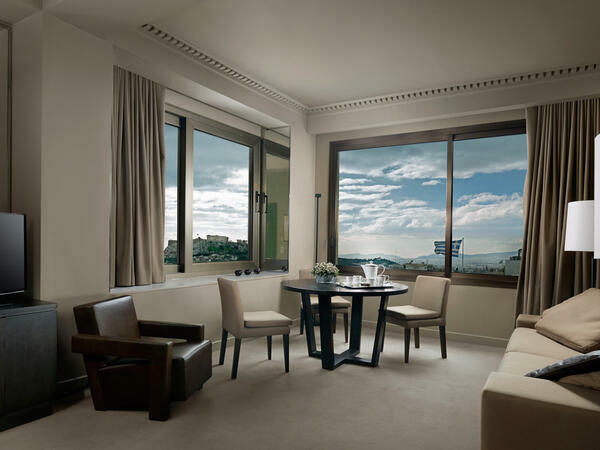 With its prominent location, the NJV Athens Plaza is close to metro, trams, buses, and trolleys, which makes it ideal for guests who want to explore the beautiful city of Athens. 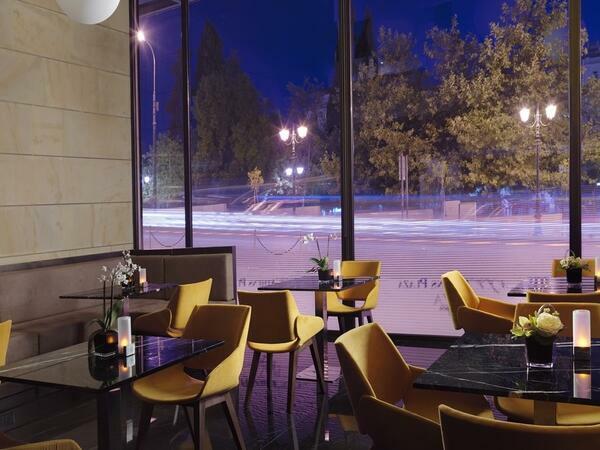 Guests have numerous entertainment options to choose from while staying at the NJV Athens Plaza, including cultural centers, clubs, bars and a variety of restaurants just moments away from the hotel. 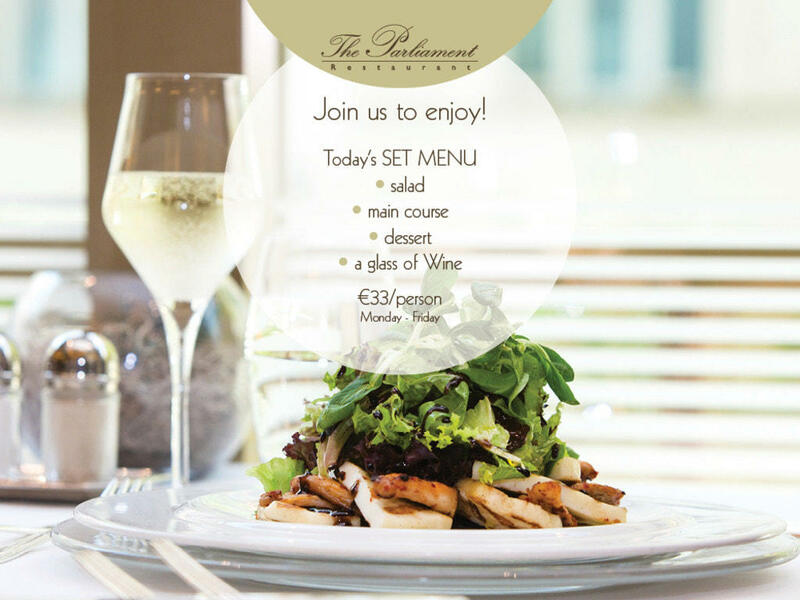 After a long day of exploring the area, The Parliament Restaurant will offer you the pleasure of a culinary dining experience including authentic Mediterranean dishes. When you wish to meet up with friends or enjoy cocktail hour with business colleagues, visit our Explorer's Bar, taste fine malts, excellent wines and snack on delicious finger food.